A Filipino owner of a home healthcare company is now wanted for the first-degree murder of a real estate lawyer in an upscale Chicago suburb in December 2016. John G. Panaligan, 50, whom authorities describe as “extremely dangerous,” is charged with strangulating to death 36-year-old Jigar Patel at his law office in the north of Chicago. In a press conference March 6, Northbrook Police Chief Charles Wernick said that Panaligan, of Aurora, Illinois, had left the crime scene after Patel was found dead three months ago. Wernick believes that the suspect is still in the country. 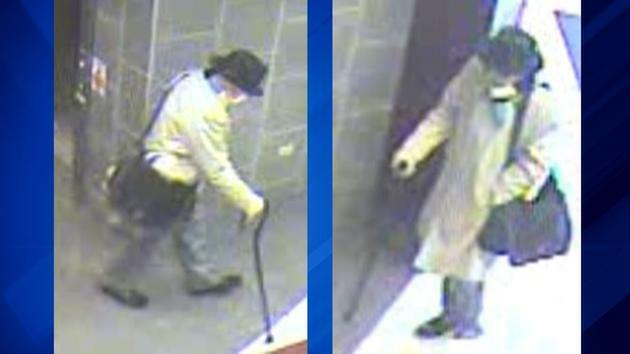 Police earlier released video images of a man in a trench coat, dark glasses and hat while walking with a cane caught in a surveillance camera in the building where the victim has an office at the same time the crime took place. Asked why it took three months before charging Panaligan, Wernick said police made sure they established a strong case against the suspect. It was reported that Panaligan and a business partner were subject of a lawsuit in 2009 by Patel’s two clients who claimed breach of trust and of fiduciary duties related to a transaction involving the sale of the Naperville, Illinois-based Vital Wellness Home Care, who is now partly-owned by Panaligan. The case eventually settled with the Illinois Supreme Court ruling in favor of Patel’s clients who were awarded substantial amount of money. Police chief Wernick credited the North Regional Major Crimes Task Force, the Homeland Security Investigations and U.S. Marshal Service with the investigative assistance accorded to his police force that led to the formal charges against Panaligan. The suspect, who was born in the Philippines, has no previous ciminal record. Police postings described Panaligan as an Asian with black hair, brown eyes, stands 5 feet five inches tall and weighs about 140 pounds. Anyone with information is urged to contact Northbrook police in its investigations unit at (847) 664-4181. Meanwhile, the U.S. Marshals Service, which describes the suspect as “extremely dangerous,” is offering a $3,000 reward for any information leading to Panaligan’s arrest by calling (888) 869-4590.